Dark Reel is a movie about Hollywood, murder and madness. It's also a film that seems to suffer from an acute identity crisis manifested in a plot which bobs and weaves until it's almost incomprehensible. I'm assuming (and this is a big assumption on my part) that director Josh Eisenstadt was attempting to mash-up of several well-known movie genres by combining elements of a mad slasher flick with a classic ghost story and a biting parody of the Hollywood film industry. But the film suffers from the inability to fuse all of these bits and pieces together into a palatable product. 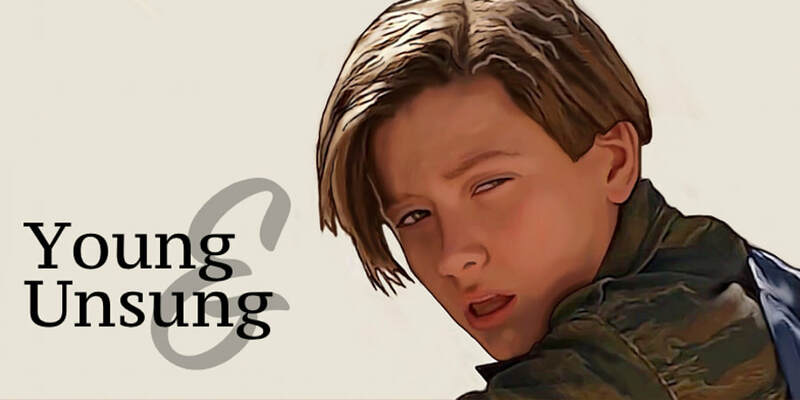 The film stars Edward Furlong, the once-lauded young actor best known for playing the original John Connor in Terminator 2. The doughy-faced Furlong plays a horror film aficionado named Adam Waltz who wins a contest for a walk-on part in an upcoming production about pirates and such. He has one line – "Unhand her, you scoundrel!" – which he practices endlessly but cannot successfully deliver once the cameras are rolling. His Seth-Rogan-meets-Comic-Book-Guy qualities are simultaneously off-putting and intriguing to the Hollywood types, who treat him mostly with forced courtesy. The one notable exception is the film's leading lady and cult movie heroine, Cassie Blue (Tiffany Shepis). She and Adam quickly develop a romantic relationship (for some incomprehensible reason), much to the outrage of the film's lecherous director. Around the happy couple swirl all kinds of quirky characters, including a leading man who eats nothing but raw onions and a sound guy who behaves like a drunken super fan every time the crew has a successful take. ​As if dealing with the prima donnas and ingenues wasn't bizarre enough, poor Adam is seeing the glowing image of a woman appear superimposed on the film's dailies. No one else can see the specter, but Adam and Cassie are convinced that her appearance is meaningful... And maybe it has something to do with a murderer hacking apart cast members in a manner eerily reminiscent of the famous 1950s slaying of a starlet named Scarlett May (what a great dead starlet name, huh?) Could the ghostly woman appearing to Adam in the dailies be Scarlett May? Uh. Duh. As it turns out, the smarmy film producer (played by Lance Hendrickson, whose career, like Furlong's, has seen better days) brutally killed Scarlett May in his own personal snuff film decades before. That secret film has been found by the company's public relations manager, Harris Briggs (Emmanuel Xuereb), who was also Scarlett May's secret love-child. Apparently viewing the brutal murder of the mother he never knew has driven Briggs insane. His solution is not to go after the murderer, however, but to hack up innocent women. Needless to say, by the time this shocking "twist" was revealed, all it could coax from me was a low, guttural groan and the desire to go to sleep. Furlong's a good actor and he deserves praise not only for T2 but many of his subsequent performances such as Pecker and American History X. Sadly, his talent has been over-shadowed by his periodic forays into drug-induced self-destruction and a reputation for being unreliable and difficult. This has kept him mired in the world of B-grade movies like Dark Reel where his abilities really don't get the stage they deserve. Unfortunately, even Furlong's talent can't do anything to salvage this mess of a movie.